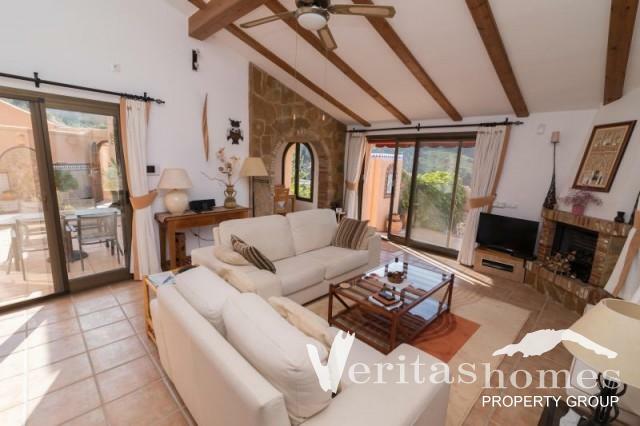 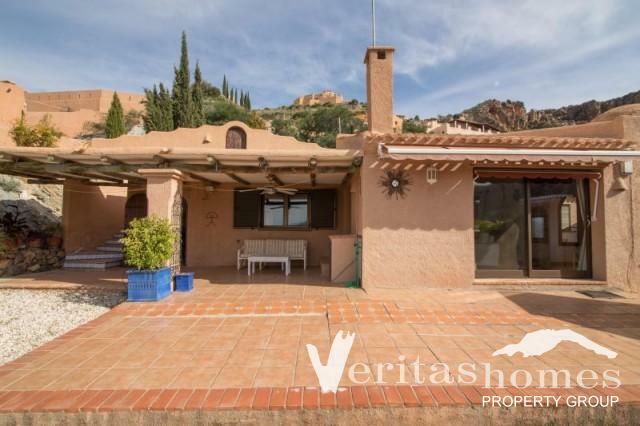 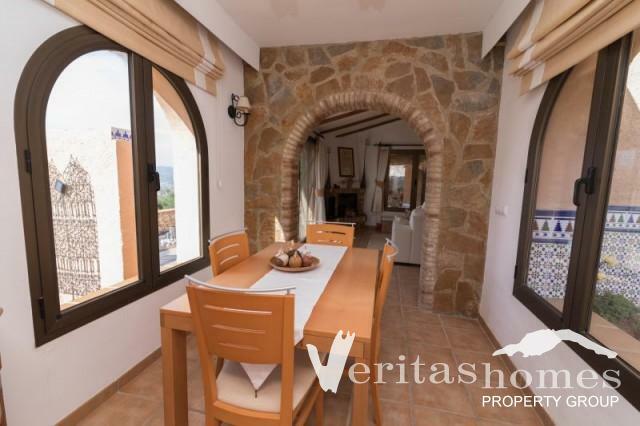 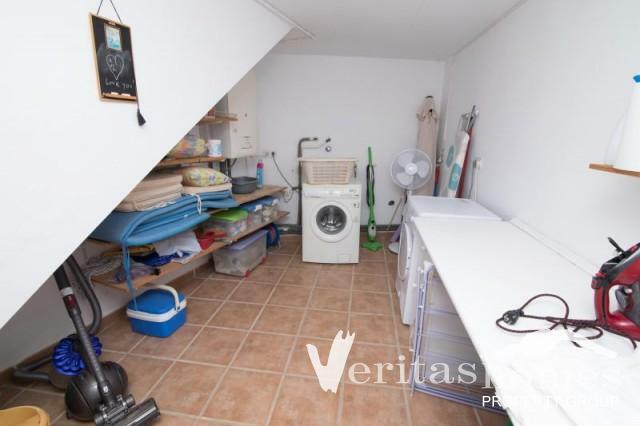 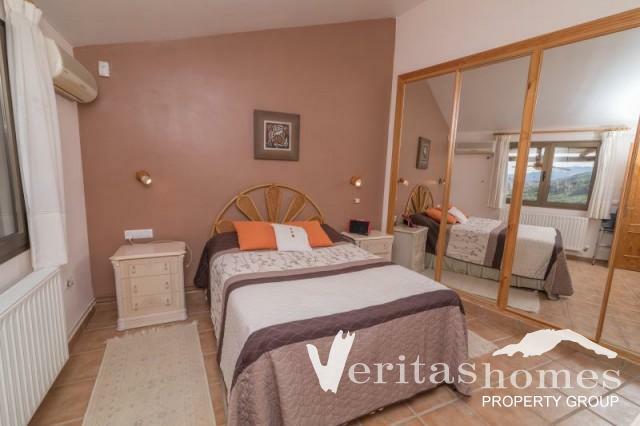 Detached 3 bed / 2 bath freehold Villa in the well-kept development of “La Fuente” in Cabrera. 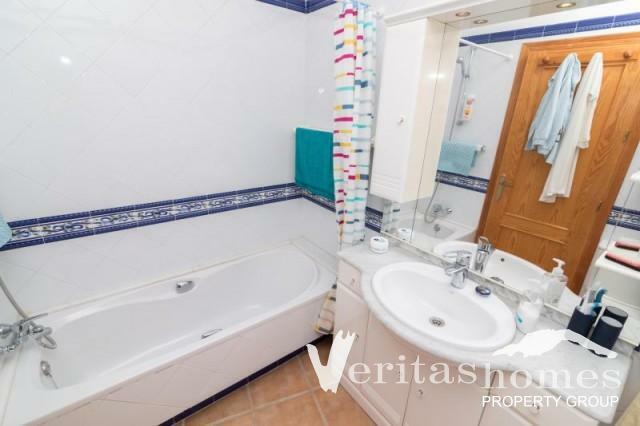 The property is in excellent order throughout and benefits from gas central heating. 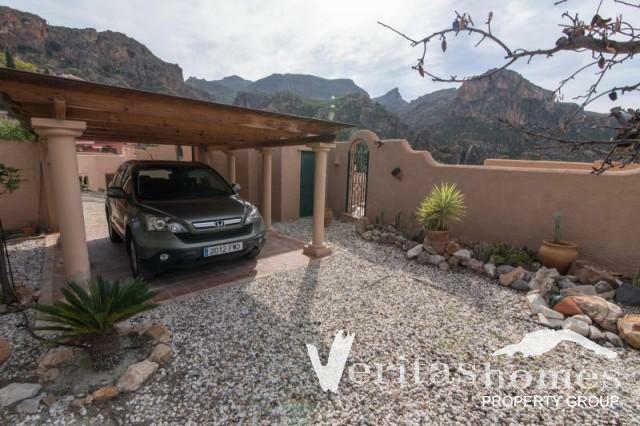 It has lots of terraces with stunning panoramic views of the Sierra Cabrera mountains and the snow top mountains of Sierra Nevada. 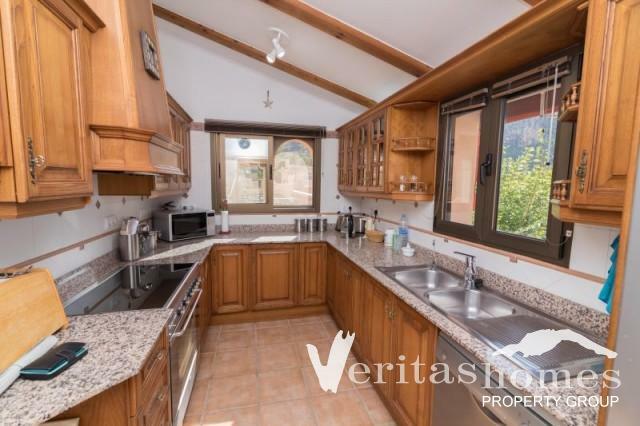 Internally the property has a good feeling of space. 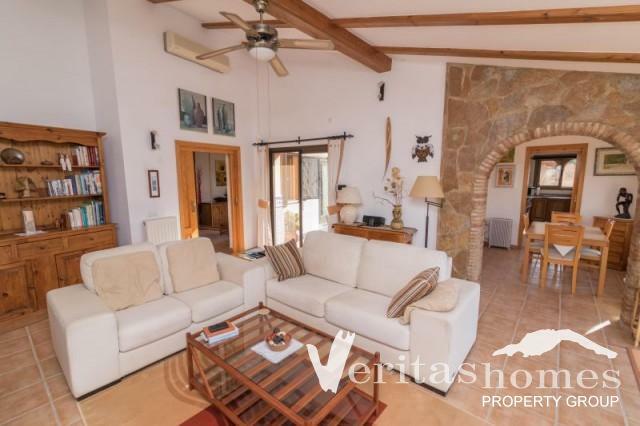 The villa comprises of a large living room / dinning room with a gas effect fire, an en suite bedroom, a fully fitted and well equipped kitchen, two further two double bedrooms and a second bathroom. 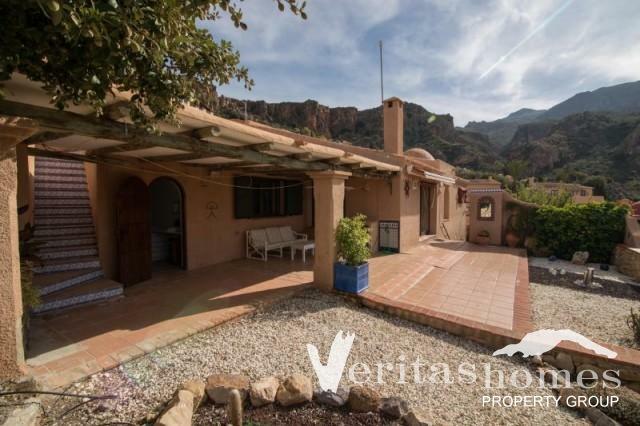 The Villa also benefits from an Andalucian style court yard, a built in BBQ, a laundry / ironing room, store rooms, lots of secluded terracing on the ground level and roof tops all offering breathtaking views of the surrounding mountains. 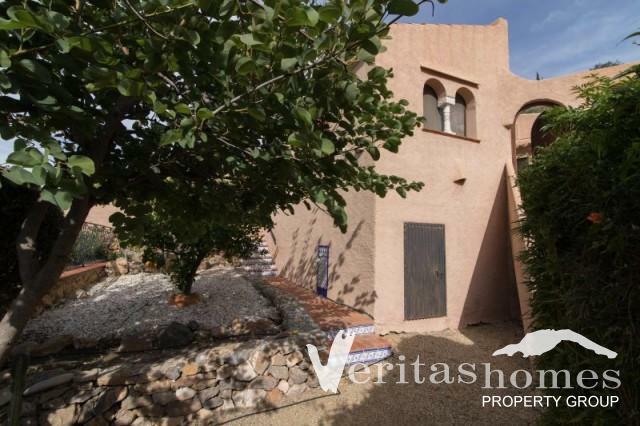 The villa has a total built area of 122,97 mts2 and is built on a freehold plot measuring 1,150 mts2. 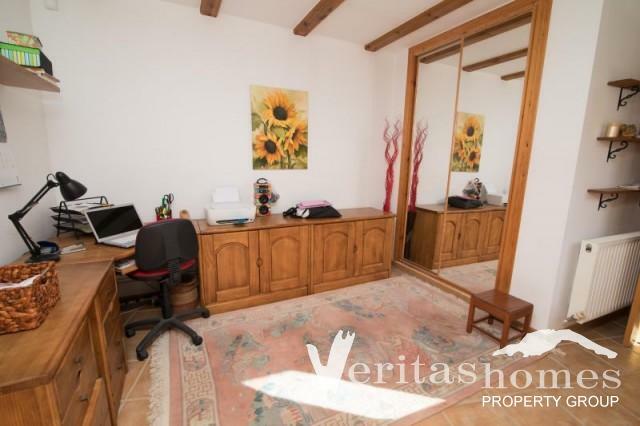 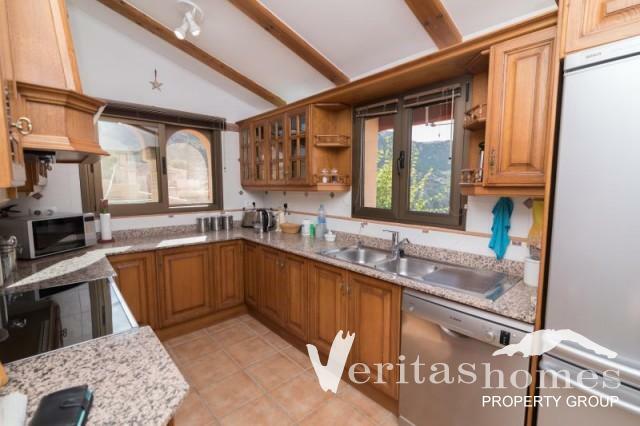 The property also offers, an established garden, a covered and secured car port, broadband connection, etc. 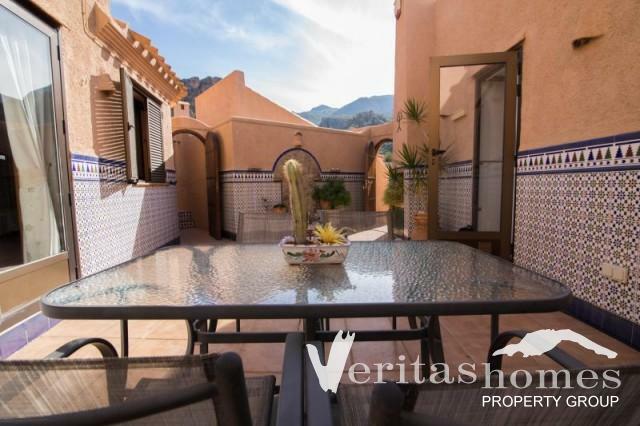 The Oasis style community of “La Fuente” of which this property is a part of, has a large feature swimming pool and gardens. 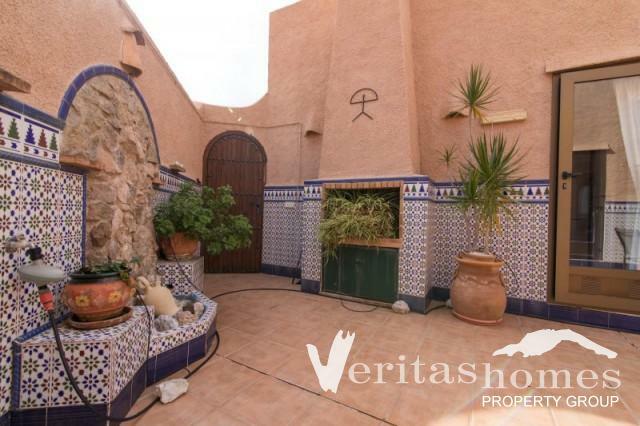 This is a very good opportunity for those looking to buy a very private villa in this prestigious Moorish village at a very reasonable price. 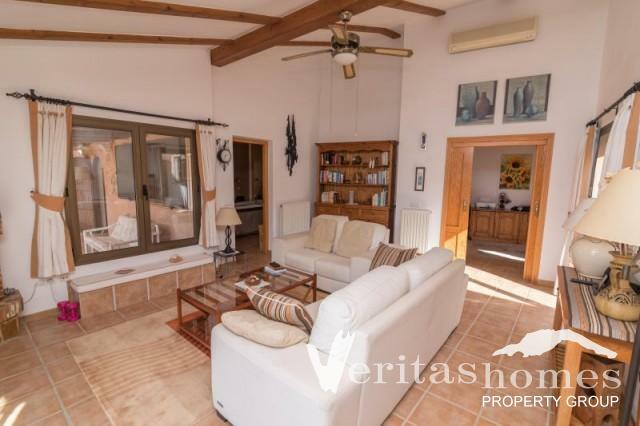 This property has gas fired central heating, air conditioning, gas fire in lounge, built in wardrobes, and many extras. 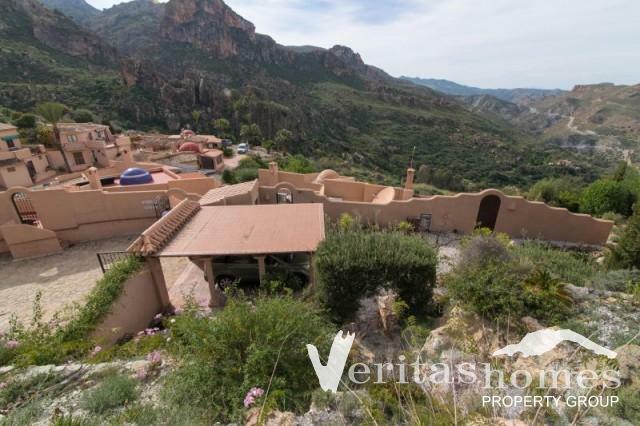 For more information about the property or to book a viewing appointment please visit our office or contact us via phone or e-mail.